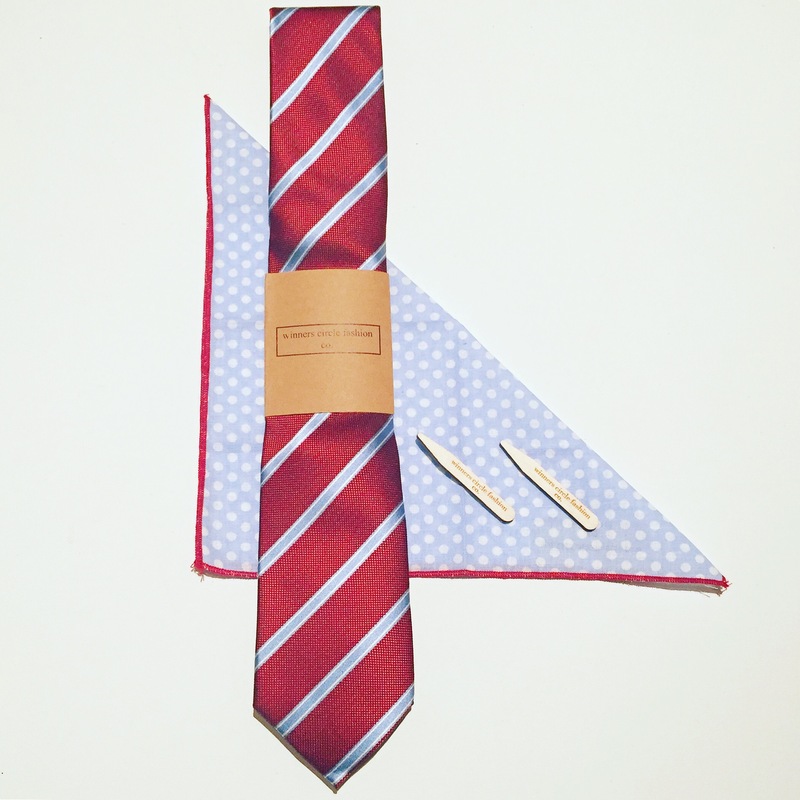 Red and blue tie – this is a great tie for the holidays, or good for a nice clean New Years look as well! Pocket Square – love the switch of colour focus here with a blue with white polka dot pocket square with the red border. Super classy!